Get more mileage from your printed pieces, they are still a necessary sales tool. 4 of 10 read and purchase based on brochure text (2010 CMT). Digital printing allows for very fast and short runs. to your website to find more product benefits or special offers. The century old Firestone Company wanted to emphasize tradition to engender trust in their truck tires. 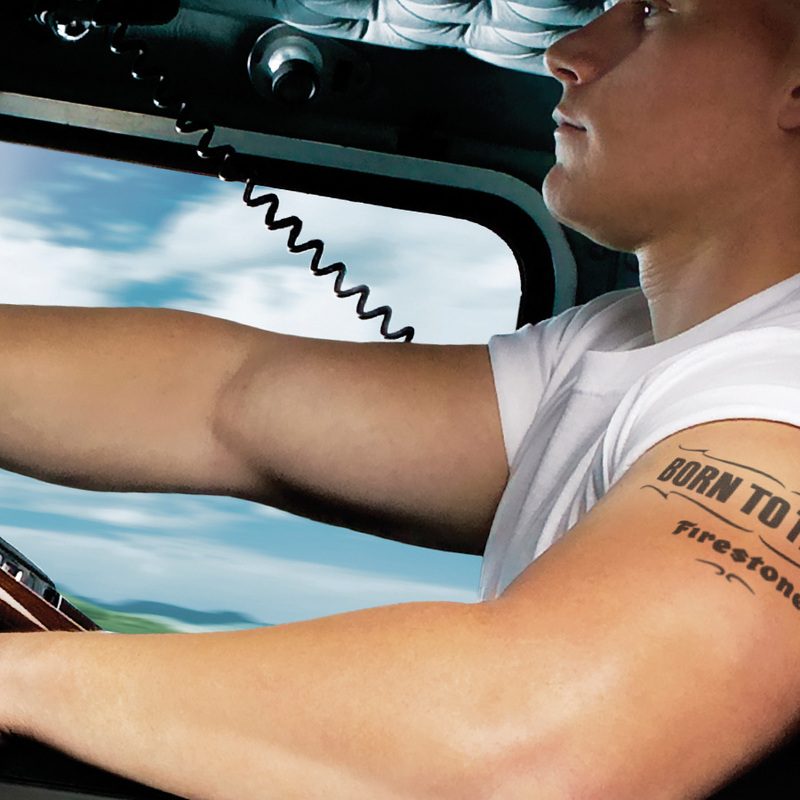 Ncutt designed the “The Born To Truck” campaign. For several years Ncutt incorporated the design into national advertising and various catalog covers. 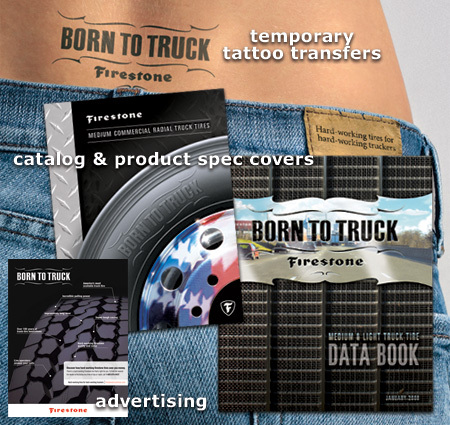 Promotional temporary tattoos were created for tradeshows where models were sporting the tattoos and applied the campaign slogan to patrons. creative value: When a patron uses your logo for a tatoo, you did well.